With plenty of star power set to take the court tonight, including projected #1 overall pick Zion Williamson, ticket prices for Duke vs UNC have absolutely skyrocketed. According to Kyle Zorn, a marketing strategist for secondary ticket seller TickPick, the cheapest ticket available is listed at $2,500 - which is just shy of the $2,674 cheapest ticket to get into Super Bowl LIII earlier this month. 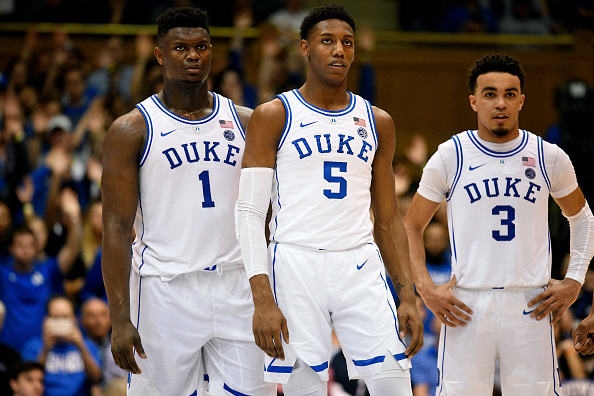 "Between Zion Williamson, a No. 1 ranking and this being one of the biggest rivalries in sports, there's intense demand," Zorn said. "There's also a limited supply of inventory, which is having a major effect on price. Cameron Indoor Stadium has 13 percent the seating capacity of Mercedes-Benz Stadium. When you factor in that the floor seating is reserved for students, you're left with a short supply -- and massive demand." 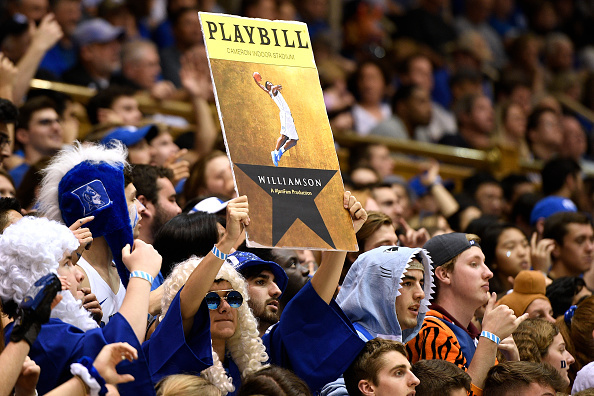 In fact, Vivid Seats reports that one ticket to Wednesday night's game at Cameron Indoor sold for $10,652. The two teams are 51-51 against each other in their last 102 meetings, according to Action Network's John Ewing, with UNC scoring 13,337 points in their last 175 meetings to Duke's 13,335. Tonight's game, airing on ESPN, is scheduled to tip off at 9pm ET.